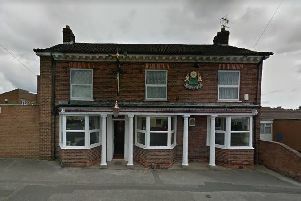 A Kirkby veteran is gearing up for the launch of an Armed Forces and veterans breakfast club in the town. The club is designed to help tackle isolation among former servicemen and women and help them readjust to civilian life. It will meet for the first time on Saturday, January 19, at 9.30am, at the Duke of Wellington, Church Street. Mark Leek, who served in the 1 Wessex and the Queen’s Regiment has set up the monthly breakfast meeting for veterans, serving members and those in reserves to get together. He said: “They can have a chat and a bit of banter. “A lot of the guys have isolated themselves from their families – they don’t know how to connect with families or burden them with what they have gone through. He says he has already had a lot of interest in the club. Mark, aged 47, said: “I moved to Kirkby in 2010 and have taken part in the Remembrance parade here in Kirkby at St Thomas’s Church. “I saw a lot of veterans I have never seen before and realised there are a lot of veterans in the Ashfield area who don’t even know each other. Mark is joining forces with the Armed Forces Veterans Breakfast Club in Mansfield, organised by Councillor Sean McCallum, Mansfield District Council Armed Forces champion and an ex-soldier. He said: “I had a fantastic chat with Sean at the Mansfield breakfast club and we are going to affiliate with each other. We had some great banter.